“Xena” – for the warrior in every woman! This ring with 3.94 ct. Columbian Emerald is the ultimate expression of an Alchemist’s mastery in marrying metals never before combined in jewelry. 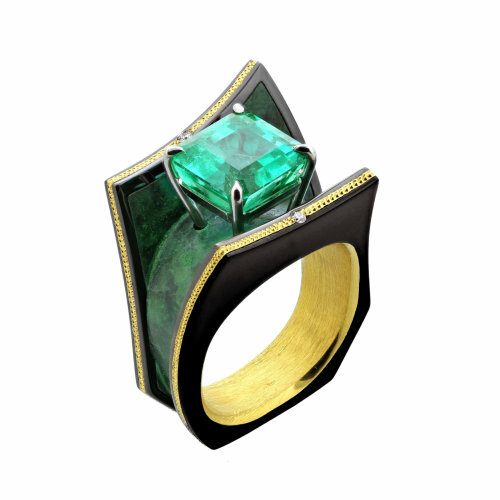 This ring is the ultimate expression of an Alchemist’s mastery in marrying metals never before combined in jewelry: 3.94 ct. Columbian Emerald (GIA Report # 2175489375), Knightsteel, green patinated Bronze, 24K Gold inlay and inner sleeve and a Platinum setting.